Well guess what? Here in Indiana we have another SNOW DAY. Surprise, surprise. It's actually a cold day. The wind chill was -26 degrees when I looked at one point this morning. I did actually run to school for a bit to get things done for next week. However, they are calling for more snow this weekend and we are kind of planning on a probable snow day on Monday too! YIKES! Today is our 7th snow day this year. As of now, our last day will be June 5th. Not as bad as it could be, but our winter isn't over yet!!! 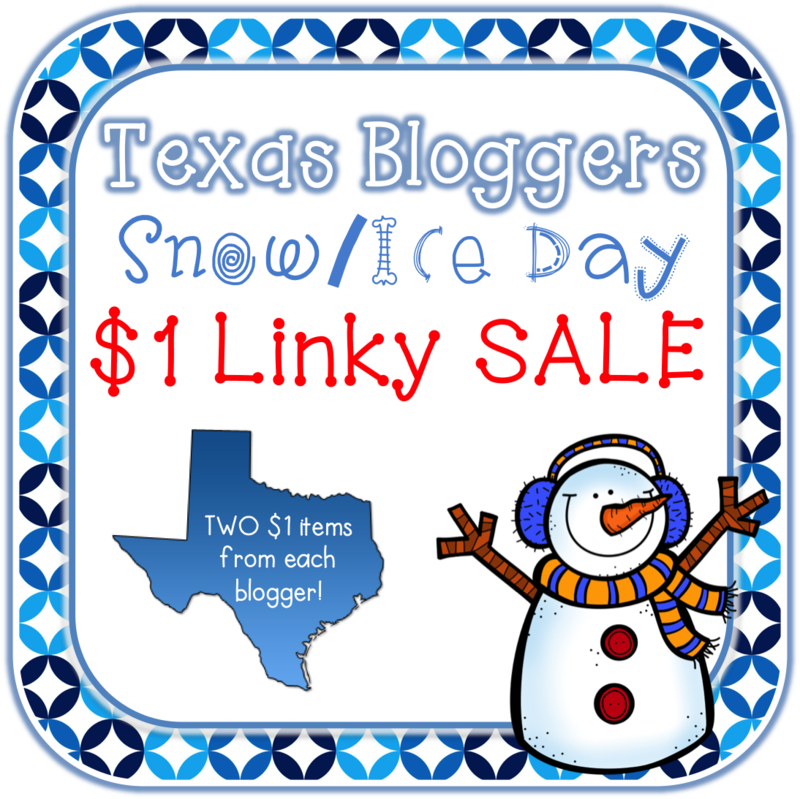 I'm participating in this SNOW DAY $1 Sale Link Up that Jessica over in Literacy Spark started up. Guess what? She's in TEXAS and having a snow day! Amazing! Do you want to participate and link up your item? Choose "get the InLinkz code" down below above the place where you link up. Copy and paste this code into the HTML section of your blog post. The link up will now appear on your blog as well. Just found your blog today! Keep warm--we too are headed for more of the same early this week here in Illinois... I am a new follower and fellow second grade blogger! Glad to have come across your blog.